Xoriant has been involved in developing multidimensional, interactive D3.js visualizations for a number of its clients. The knowledge and experience gained by our engagement team and technical personnel has led to the development of Xoriant Visualization (XViz) framework. Xoriant’s proprietary XViz Framework is developed to create and deploy complex data visualizations on any device (handheld or otherwise) supporting a web browser or a web view. 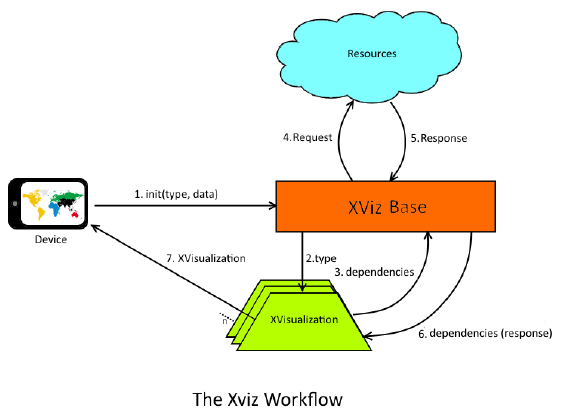 The XViz framework comprises of multiple independent modules used for preloading of files and data required for visualizations, data parsing, view rendering and communication between visualizations as well as communication between visualizations and native device code. Visualizations developed using the XViz framework are independent in that they can be deployed by themselves wherever they are required and do not depend upon the existence/inclusion of other visualizations.